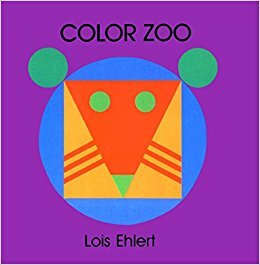 Continuing with our SHAPES theme, we will read “Color Zoo” by Lois Ehler. Animals have shapes too. Come and identify them! Continuando con nuestro tema de FORMAS, leeremos “Color Zoo” escrito por Lois Ehler. Los animales tambien tienen formas, ¡ven a identificarlos!